Relationships between governments determine wars, trade, travel and sharing of knowledge - as well as a host of other matters critical to 21st-century life. Understanding international relations is critical to anyone who is keen to excel in an international environment. La Trobe offers one of the leading international relations programs in Australia, drawing on the experience of expert staff who are all experienced in international policy development. We rank 9th in Australia and in the top 200 in the world for our Politics & International Studies subjects (QS World University Rankings by Subject 2016). International relations qualifications can lead to careers in government, international organisations or government relations and policy roles in the corporate sector. 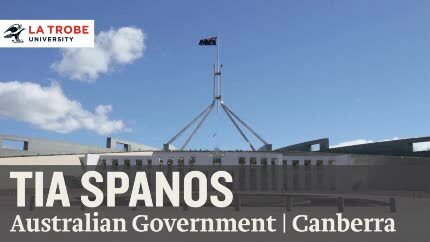 International relations can lead to opportunities in government, such as in foreign affairs, trade, defence and with AusAID. You'll also be well suited to roles in inter-governmental agencies, such as the UN and World Health Organisation. An understanding of international relations will also be relevant to international organisations such as Oxfam, Amnesty International and Red Cross, as well as in the media, the corporate sector, think tanks and academic institutions. Available to students completing the Bachelor of International Relations, the unit International Relations Professional Competence (POL3PCW) equips you to work with and for organisations that have a strong interest in international relations. The placement offers you the opportunity to apply your analytical skills and knowledge to a practical situation. In this travel and study subject, students assess the cultural, social, architectural and political history of the Ottoman Empire to the era of the First World War and the inauguration of the Turkish Republic. On location at historic sites in Turkey in Bursa, Edirne and Istanbul, the three Ottoman capitals, and on the Gallipoli peninsula and at Sakarya, students examine key periods of Ottoman history. This second- and third-year Mediterranean Studies summer semester subject is offered by La Trobe University and run in conjunction with Australians Studying Abroad. See the Ottoman Empire course brochure [PDF 612KB] for an itinerary and application forms. For fees, scholarships and studying overseas guides, see the study abroad website. There are many other opportunities for La Trobe students to study overseas. Students can spend a semester or a year studying overseas at one of our partner institutions. Visit education abroad for more information on student exchanges or the study abroad program. Students from overseas can come to La Trobe and do a short term Study Abroad program. Some short courses are also available to international students. Visit International Students for more information.